Over 4,000 diners appeared to celebrate the fourth annual Dîner en Blanc, bringing their own food, hampers, furniture, wines and Champagne along to the event. Guests were entertained by DJ Daniel Rowntree and Dimmi, the official lifestyle sponsor of Dîner en Blanc for 2015, ran an Instagram competition to give away a dinner for two at Quay. 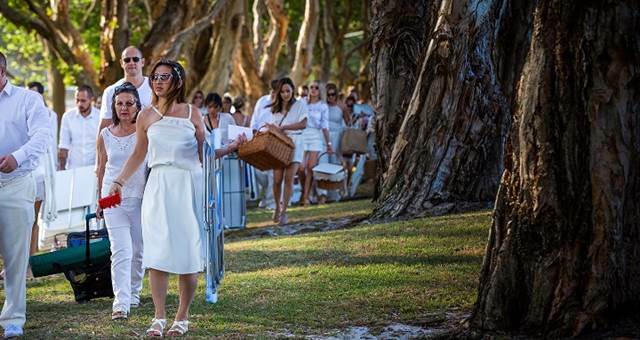 Last year’s event in Sydney took place at Centennial Park attracting around 4,000 guests while the previous year saw the Dîner en Blanc held in Sydney’s Bondi Beach. 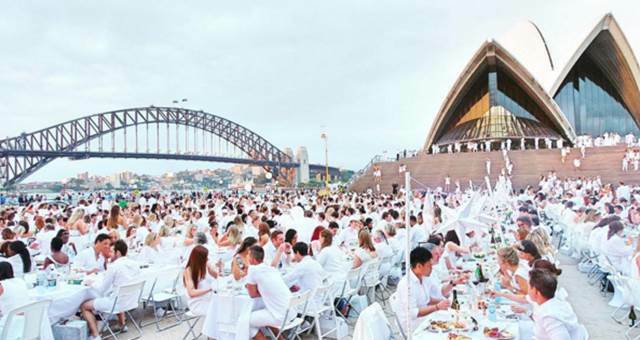 The first Dîner en Blanc in Sydney was held in 2012 in the forecourt of the Museum of Contemporary Art.